Do you own a treadmill? 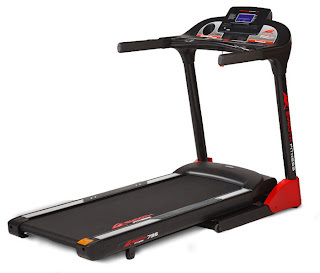 I was selected to participate in the #SmoothBlogger Program and received a treadmill in exchange for my participation. Regardless, I only recommend products or services I use personally and/or believe will be a good fit for my readers. The views and opinions expressed on this blog are purely my own. Results may vary. No monetary compensation was received. I can't wait to reach my fitness goals! Congratulations on being selected, I am sure that it will be another great way to help your in your get fit journey. Congratulations!! How exciting. I can't wait to hear how you'll be liking your treadmill! Congrats! I cannot wait to follow your journey!! Nice treadmill! Congratulations! That is a beauty of a treadmill. Can't wait to ready about your journey. Enjoy! Congratulations!! I like the treadmills at the gym.... especially the ones with the TV's built into them. I consider it "me" time. LOL! WOW! Totally jealous! I've wanted a treadmill for forever, especially now that we've moved to a cold weather climate and I've been training for my half marathons. Congratulations and I can't wait to hear what you think of it! That is going to be fantastic for your year. Congrats and here's to good health! Thats awesome! I love elipticals. I just wish I had the space for one. It's hard to make sure I get enough exercise here in Montana because it is cold here so long! Good luck on your fitness journey! Sweet! Good luck on your fitness goals, can't wait to see your progress. Congrats on the weightloss and the treadmill. I started running a few years ago and got hooked. I've ran every distance from a 5K to a marathon and have pushed my body beyond limits that I never thought possible. With that said, now I am dealing with injuries. It's time to scale back the intensity, I'm getting too old! I talked my wife into running a full marathon, she's done a few halfs, and I will be joining her for moral support. It's part of her bucket list! We don't own a treadmill as we both love running outside. The weather doesn't bother us, even here in Ohio. We just dress for it. Good luck on your weightloss goals, I have a pretty good feeling you'll make it especially with this new piece of equipment. That is so exciting! Have fun, and congrats!! Congrats! That treadmill is awesome! Wow, congrats on being chosen as an ambassador! I look forward to reading about your treadmill journey! Good luck with that weight goal; you've come so far with losing the 56 pounds already that I'm sure you'll get those 10 off in no time! The treadmill is my favorite type of exercise equipment. Congratulations on being selected! I don't have a treadmill.